Countdown to the Sidebets Swimsuit Auction! 5, 4, 3, 2, 1 hour to go until the start of Men! Men! Men! 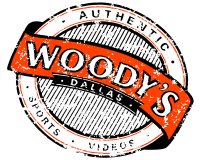 On Woody’s main stage for the Dallas Woody’s Sidebets Softball Team Swimsuit Auction! Need some new trunks? This will be the place to be! Make a bid, win some new trunks and help out the Sidebets and PSSA! Jello Shots for a buck! 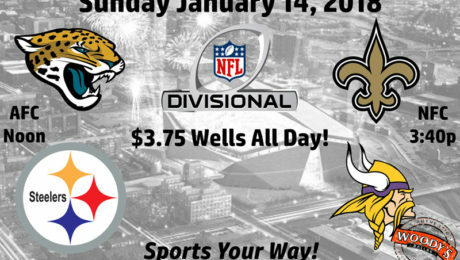 Wells only $3.75 all day and all night long! Happy Earth Day! It’s a beautiful spring day here in Dallas so enjoy all our planet has to offer with a great cocktail with your besties this special Sunday Funday! $3.75 wells all day and all night! Karaoke at 10pm! 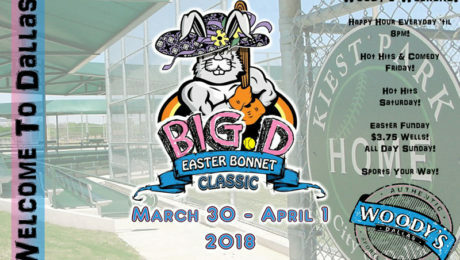 Big D Easter Bonnet Classic and Easter Holiday Weekend! Kick off spring in full Dallas style with PSSA’s Big D Easter Bonnet Classic Softball Tournament all weekend long! Cap it off with a traditional Dallas Easter on one of three patios featuring $3.75 Wells All Day and All Night Easter Sunday! Whether your stopping by for great drinks, comedy clips, the latest in music video or following the Final Four we are here for you so you can enjoy SPORTS YOUR WAY! It’s opening day for MLB’s 2018 season. 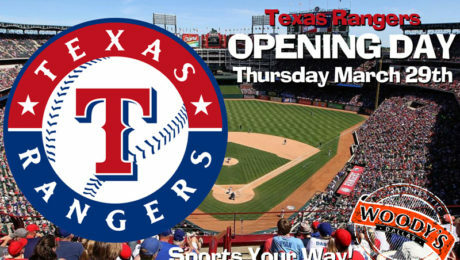 We’ve got the Houston Astros at the Texas Rangers in HD just in time for the first pitch! $3.50 Wells ’til 8pm! $4.00 Rumple All Day and All Night! Today is Selection Sunday! Who’s in and who’s out? We will be showing the entire selection brackets so you can get ready for the Madness! Join us starting this week for all NCAA Men’s and Women’s Tournament Games. 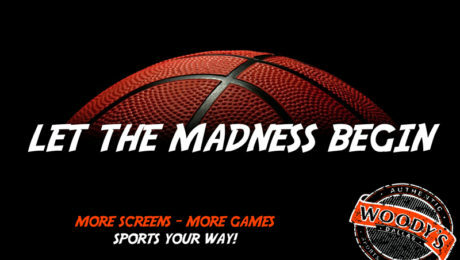 We’ve got 25 screens able to show 16 different games at the same time! 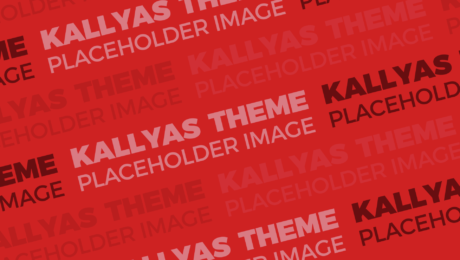 More Screens – More Games! Truly, Sports Your Way!!!! Yay! It’s National Margarita Day! 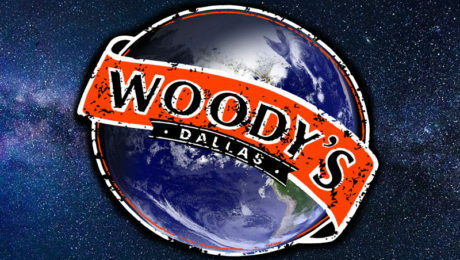 Don’t let the chilly rain get you down enjoy a tasty Margarita at Woody’s all day and all night long. Try one of our tasty local sports branded Patron Margarita Shots for only $8! 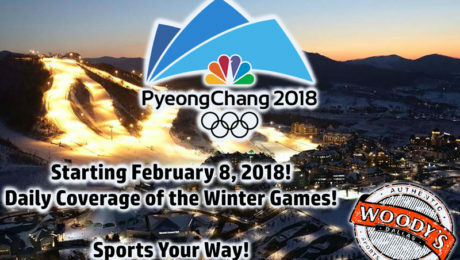 Spin, Twirl, Jump, Slam, Slip, Slide, Curl, Luge the Winter Olympics are Here! You can see all the Winter Sports Action on any one of our 32 HD TV’s throughout the bar and our three patios! From the Opening Ceremony to the Closing Ceremony and all the action in between we are here for Sports Your Way! The Eagles and Patriots are moving on to the NFC and AFC Conference Championship games! Who’s next? We’ve got the games starting at Noon with the Jaguars at the Steelers followed by the Saints at the Vikings. 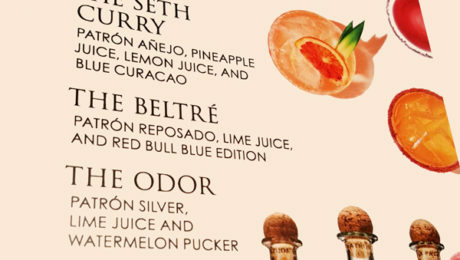 $3.75 wells all day and all night. Karaoke with Spencer at 10pm!